Cheap Neon Toy Shutter Shades - 12 Ct. Neon Toy Shutter Shades - 12 Ct. The future is so bright, they have to wear shades! These neon shutter shades make for great party favors or use them to accessorize your fun 80's style costume. 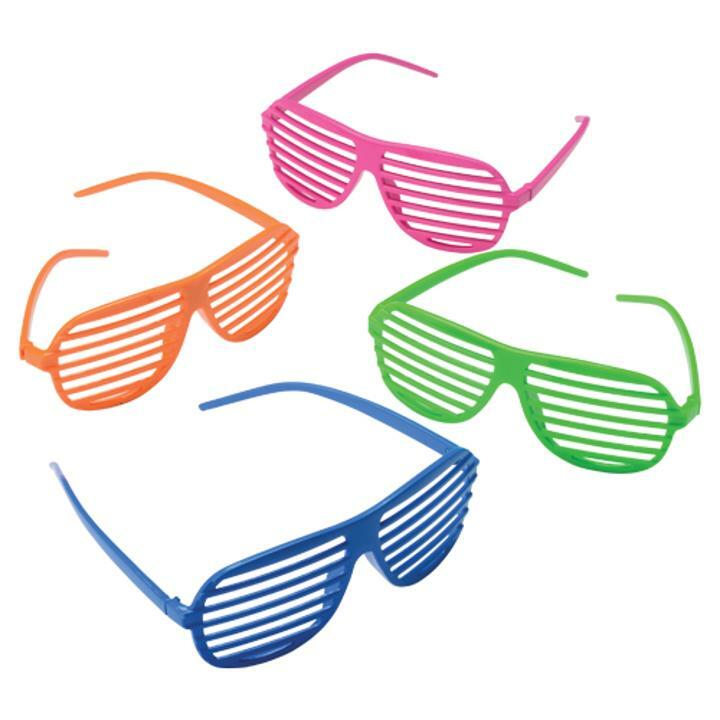 Brightly colored, you'll stand out in the crowd with these unique novelty glasses. Glasses and sunglasses make great party favor gifts or Halloween costume accessories. Create a fun new look with a pair of glasses or hand out sunglasses at your next pool party. L: 10.5 in. W: 15.35 in. H: 3.25 in.